Throwing the same summer party as last year? Rolling out the same streamers, party favors, and ripped slip and slide? Are you ready for the look of disappointment in the children’s eyes as they realize that this year is going to be no different? We’ve got a solution to turn your boring party into the most memorable event of the season! At Celebration Source, we’re your party and entertainment experts that bring the celebration to you! We’ve got it all! 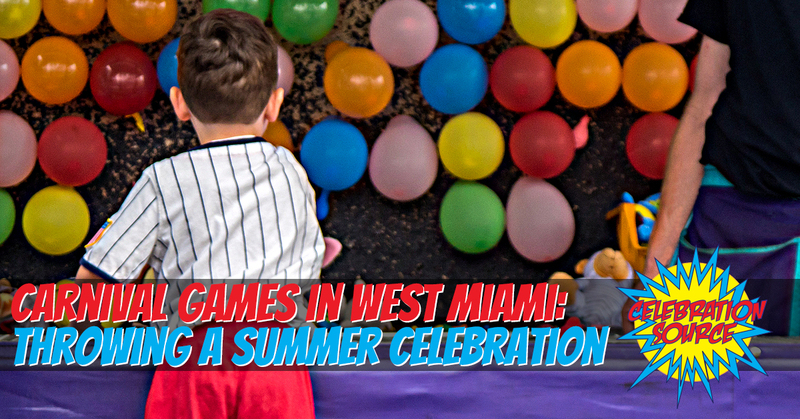 From carnival games, clowns, waterslides to scrumptious foods and carnival games in West Miami! With the rays of the summer sun shining down on our beautiful state of Florida, we feel like that’s cause enough for a celebration! But no matter what your reasoning, whether it’s for a corporate event, fundraiser, or just to bring the neighborhood together, throw the party of the year and contact us today! Here are just a few of the things we offer that are guaranteed to put a smile on the face of every person attending. You name it, we got it. 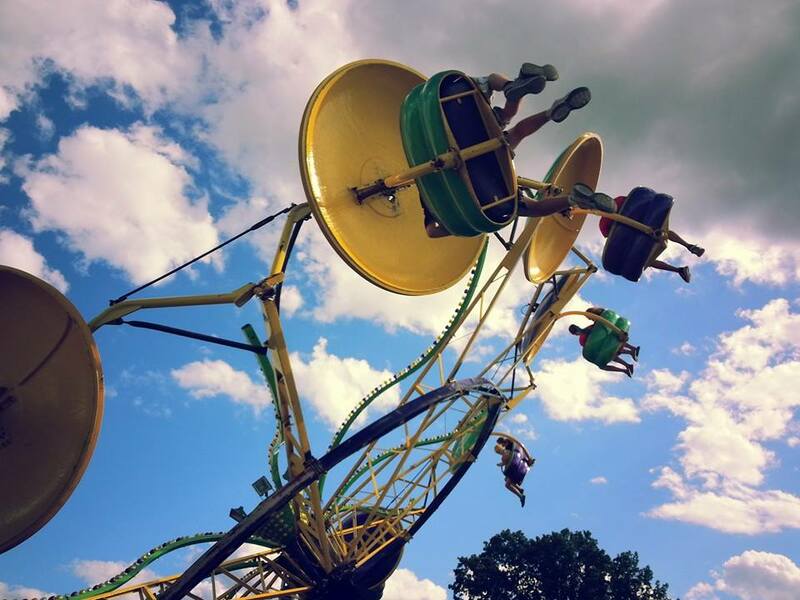 No matter what carnival ride gives you the most nostalgia, or you know will be a hit at your event, you can rent it through us. We’ve got mini carousel for the young ones to enjoy, the Fireball Coaster for the daredevils, and even South Florida’s only 50-foot Ferris Wheel available for rent all year long! Everyone loves a thrill, from children to adults, so you’re guaranteed to find something to make the whole group ecstatic. Rent a carnival ride from us today! We have the widest array of carnival game rentals in West Miami, scratch that, all of Florida! From our Golf Chip Shot to the carnival classic bumper cars, we’ve got outdoor and indoor carnival party games for your event. Even if you’re just throwing a movie night outdoors for the neighbors, we’ve got a huge inflatable movie screen for that! Be sure to browse through our outdoor party games as well as our indoor ones to find exactly what you’re looking for! We promise to make your celebration the event of the summer! Whether it’s a Fourth of July party, a birthday celebration, bar/bat mitzvah, or just a time to have fun, we’ve got you covered! Your bland parties of yesteryear will be forgotten, and a new tradition will begin! Family owned and operated, Celebration Source has been around serving the Southeast for over two decades, but our Grandfather started it all 60 years ago! You can certainly call us experts in event entertainment rentals! We’ve got countless options when it comes to carnival games, rides, and (how could we forget?) carnival food! If you’re ready to throw the party of the year, be sure to look through our website to find what you’d like for us to provide, and contact us today to request a quote! If you have any questions or concerns, don’t hesitate to contact us now. We look forward to bringing the celebration to you!